Hello Friends! I'm excited about today's post & giveaway! First off, have you heard of #FridayIntroductions on Instagram? It's hosted by two lovely ladies and each Friday you get to introduce yourself to the IG world, answer a fun question and meet new people. I've really enjoyed participating in this and through #FridayIntroductions I came across Michelle and her wonderful hand made macrame jewelry. I think these bracelets resonated with me because they speak to the South American / Latin part of me and are a reflection of the Brazilian culture I grew up in. Each bracelet is hand made and I LOVE the bright colors! Plus they are super duper pretty. I asked Michelle to give a little more info on her shop so here you go! I'm Michelle, the owner, designer, and hands behind Hecho-A-Mano Jewelry! It all started when my husband and I lived in Costa Rica for 10 months. I learned how to make macrame jewelry and haven't been able to stop! My jewelry is inspired by the people, culture, and beauty that is Costa Rican. These string bracelets are "la moda" (the style) in Central America and I really hope to spread that love all over the world! Mix them, match them, wear them however you like, they really are one of the trendiest fashion items to have. I hope you find something you love, and know that whenever you wear it, there's a piece of Costa Rica you carry around with you! Today I am teaming up with Michelle, Samantha, Stephanie and Rachel to giveaway some beautiful bracelets. 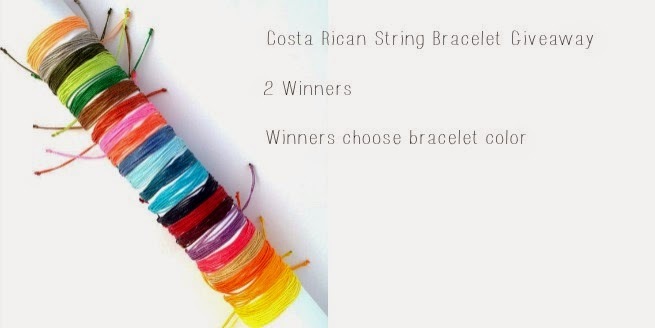 There will be two winners and the winners will get to choose their bracelet color. Cuuute! I've never head of this before. I'd probably get a blue or green color. Hi Marta! I will do international shipping as long as you pay for 1/2 of the shipping. it shouldn't be much because these are light weigh. Will that work with you? I'm glad I got to introduce them to you! I think they are so fun. Blue and green would be pretty ones. That's fun! I never thought to match my bracelets with my eyes but my eyes are brown, so that is probably why! Thanks for stopping by. I have heard of macrame bracelets before. 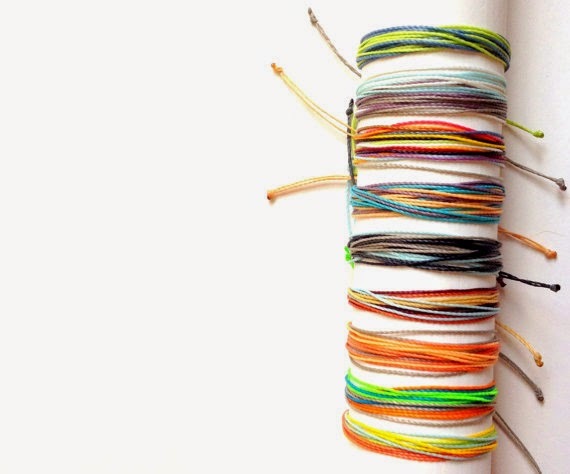 Something similar to this was sold on the streets of Mexico and you could pay for them to make a custom bracelet for you if one of their selections didn't appeal to you. I loved those bracelets as I grew up with one around my wrist most of my life. I'd probably choose black as it goes with anything. Thanks for hosting the giveaway but also introducing us to Michelle's etsy shop. I agree! I think they are so fun and unique. How is your Etsy shop coming along? I think they are super pretty too! Me too! 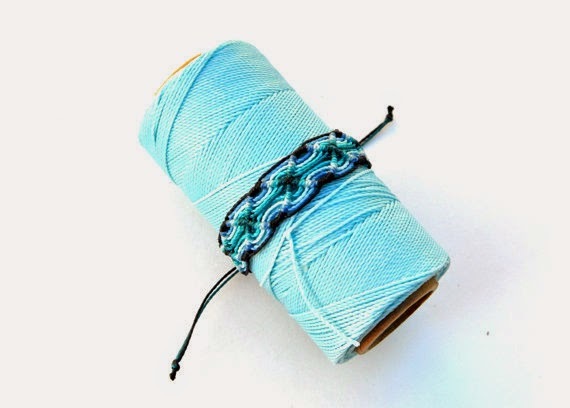 I love blue, specifically teal and peacock blue! That is so fun! I like blue a lot too. That is super fun that these were on the streets in Mexico where you could customize them right there. I'm happy to introduce you to Michelle. She is really nice and I love her products. I'm glad you now know of them =) Pink is a pretty color. Fun! I like yellow too.